PS4 exclusive racing game Driveclub will be getting both premium and free DLC following its launch. Today developer Evolution Studios outlined their exact plans. "We’re determined to build up a lively community of millions of connected racers around you, so our post-launch development will be influenced by what you do in the game and the feedback you share with us," Evolution said on PlayStation.Blog. "New content, improvements, and updates will all be shaped by you and everyone you play with. And of course, we’re going to do our best to keep surprising you with our own creativity, too!" Evolution's DLC plans for Driveclub stretch from October to June 2015. 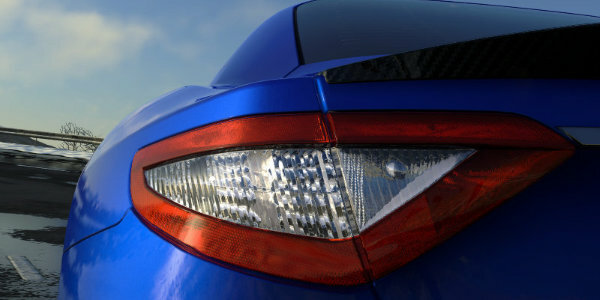 They'll release a free car each month, for a total of nine new vehicles. Additionally, 11 new tracks will be added by February. One of the first free cars introduced to the game will be the Mercedes-AMG GT sports car. This will be the public's first chance to drive the car, which will debut worldwide in 2015. Mercedes-Benz is also running a Driveclub-themed contest at JourneyOfStars.com to hype up the launch of the game. They're giving away a free PS4 and copy of DriveClub to winner. The free updates released throughout the game's lifespans will also introduce new features. A new weather system will add an unexpected twist to some races. Photo mode, meanwhile, allows players to easily take and share pictures from the road. Players willing to spend money on DLC will find a lot of options as well. Evolution will release a total of 38 cars, 176 events and 80 liveries from November to June. This DLC also brings new Trophies for players to strive for. All of the DLC packs can be purchased at once with the $25/€25 Season Pass. Evolution says that buying each add-on individually would cost a total of $75.84. Driveclub was one of the very first games announced for PS4. It was supposed to launch alongside the console last fall. However, it was delayed to early 2014 and then until this fall. The game's finally going to hit stores on October 7th.